Was it a wolf, some type of hybrid, or a creature that hasn’t been seen in Montana since the Ice Age? On May 16 a lone wolf-like animal was shot and killed on a ranch outside Denton. With long grayish fur, a large head and an extended snout, the animal shared many of the same characteristics as a wolf; but its ears were too large, it’s legs and body too short, its fur uncharacteristic of that common to a wolf. So what was it? At this point, no one is 100 percent sure. This entry was posted in Werewolf and tagged Montana Wolf, Wolf Like creature. Bookmark the permalink. 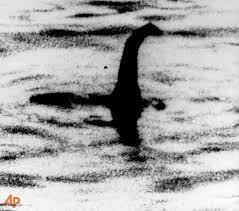 ← Footage Shows Mysterious Creature In Loch Ness?